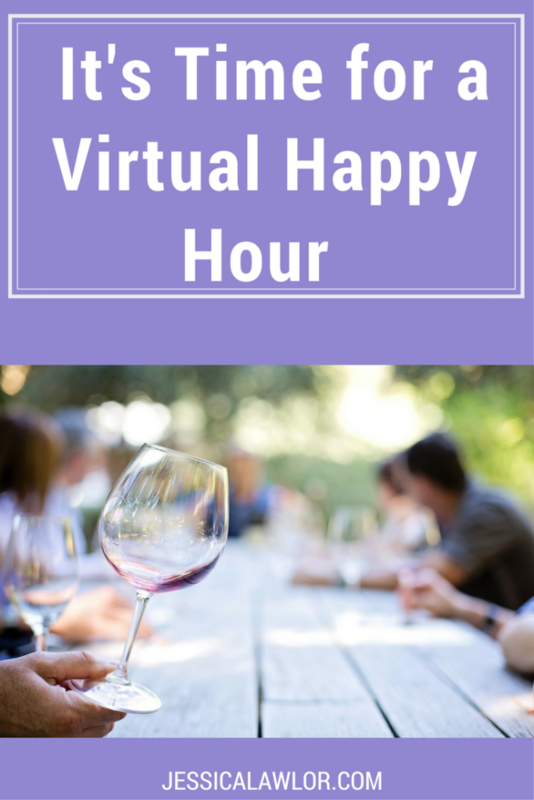 It’s been awhile since we sat down for a virtual happy hour (or coffee date — pick your poison, but I’m hanging out here with my glass of red). These posts are my favorite because I tell you all the random things on my mind…and then, YOU comment and tell me what’s going on in your life! It’s the best. Here are all the random little life tidbits I’d share with you if we were at happy hour together. If we were sipping wine together…I’d tell you how blown away I was by the positive reaction to the travel guide I wrote for my Philadelphia neighborhood, Chestnut Hill. I just moved here a year and a half ago, so I was delighted to see the community’s response to my blog post. I received so many kind emails from the businesses I mentioned. I hope all of my local readers are planning a spring trip to the cutest slice of Philly! If we were sipping wine together…I’d let you know that I officially survived my 30th birthday! It was a whirlwind, and the party hasn’t stopped! This weekend, I’m continuing the celebration with my family with a wine/beer tasting day bopping around Cape May’s wineries and breweries. Oh, and I’d probably gush a little bit about the sweet present Tim got me — a map of Ireland pinpointing all of the places we visited. Who knew he was so crafty?! If we were sipping wine together…I’d tell you I recently signed up for Hulu, and OMG, why have I waited so long to do this? I immediately binged The Handmaid’s Tale, and am anxiously awaiting April 25 for season two to begin. I’m also mostly through UnReal, a show loosely based on The Bachelor. I’d ask if you have any Hulu recommendations for me! If we were sipping wine together…I’d tell you that I’ve got my yoga groove back. Ever get so obsessed with a hobby that you take it way too far and end up hating it for a bit? While it sounds extreme, I definitely overdid it with yoga for a period of time, and then pulled back in a serious way. I’m finally excited about practicing again, and am easing it back into my weekly routine. This week, I practiced three times (at three different studios, actually) and it was glorious. If we were sipping wine together…I’d show you this awesome profile Temple Magazine published about me. I’m always so grateful when my alma mater shares my story — and I love the new nickname they gave me — “Jess of all trades.” Funny story about the photo that appears in the magazine: I sat in a coffee shop looking out the window, while the photographer stood across the street to get the shot from the outside in. Super cool concept (and the photo looks great), but imagine me pensively staring out the window of a busy Philadelphia street while people passing by gave me the strangest looks. It was pretty hilarious. If we were sipping wine together…I’d ask you for your favorite meal prep recipes. I’m loving prepping lunches for the week on Sundays, and am always looking for new and healthy recipes. I’m currently obsessed with this one — Honey Sriracha Glazed Meatballs — so delicious! If we were sipping wine together…I’d tell you I’ve been in a bit of a blogging slump lately — it happens from time to time. Is there anything you’d like me to blog about in the coming months? Any questions you have for me? I find that I usually get the best ideas right from you, so let me hear it! If we were sipping wine together…I’d tell you that Tim and I are planning a May trip to somewhere tropical. You all know I’m a big beach gal, and I can’t wait to feel my toes in the sand again. Tim has never been to an all inclusive resort, and I can’t wait to show him how wonderful it is to get to a place and just settle in without needing to worry about transportation or paying for food and alcohol. We’re currently looking at a few spots in Mexico and Jamaica, and I am so excited to get away and unplug for a couple of days. Your turn! What would you tell me if we were chatting over happy hour? Let me know in the comments below!